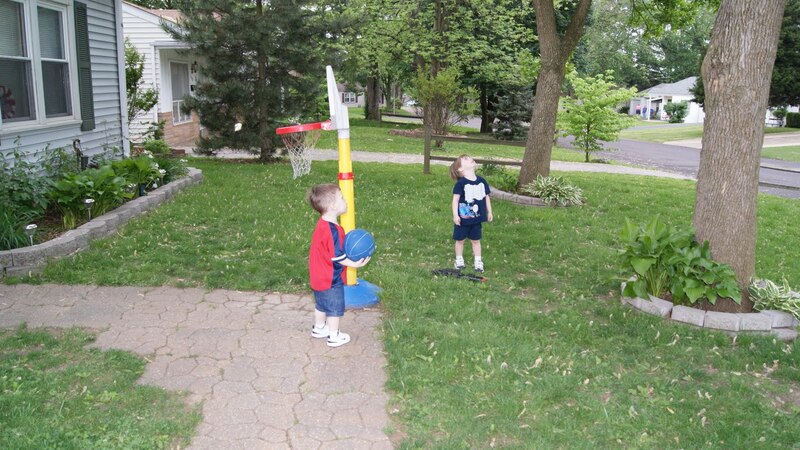 When I picked up the boys today from the sitter's house, I found Mikey and Mason, hunting for "Skeewhirrls." They were hunting for squirrels! Mikey and Mason looking in the big tree for the poor little animal that was hiding there! 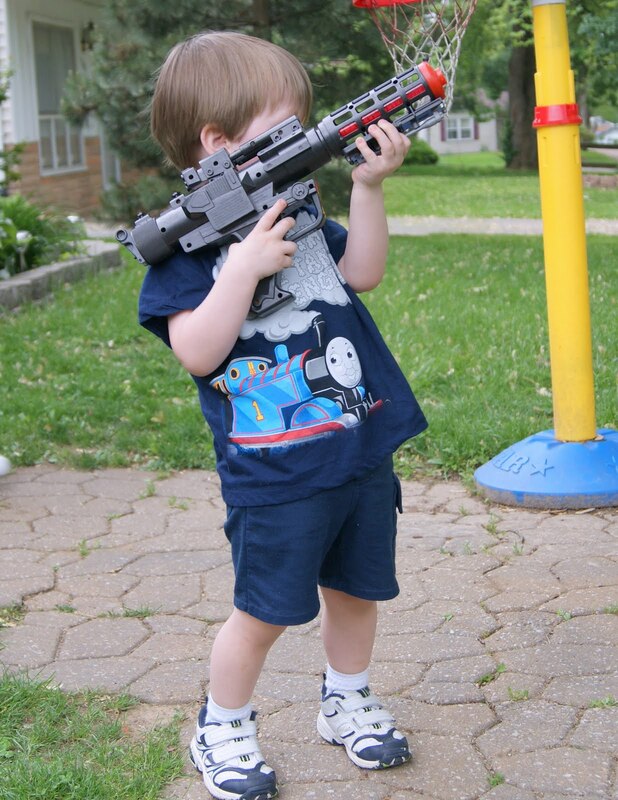 Mikey picked up his gun, when Mason yelled "Bang, bang, I got you!" 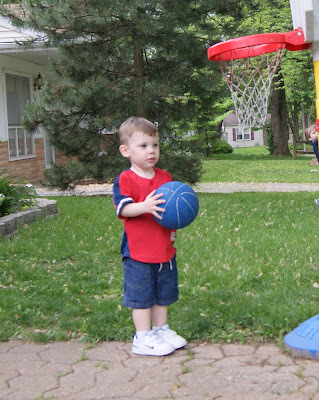 Mikey told Mason "Hurry, throw the ball at it...get' em!" They "joys," of two year old boys!